الخيار الأفضل للحصول على المتعة والاسترخاء, Mantons Creek Estate & Lodge يقع في منطقة رد هل في مورينجتون بنينسولا. يمكن من هنا للضيوف الاستمتاع بسهولة الوصول إلى كل ما تقدمه هذه المدينة النابضة بالحياة. يوفر الفندق بفضل موقعة الجيد وصولاً سهلاً إلى أهم معالم المدينة.
. إن الخدمات الممتازة وحسن الضيافة العالي في Mantons Creek Estate & Lodge تجعل إقامتك تجربة لا تنسى. يقدم الفندق فرصة للاستمتاع بشريحة واسعة من الخدمات بما فيها: واي فاي مجاني في جميع الغرف, تخزين الأمتعة, واي فاي في المناطق العامة, صف السيارات, مطعم . يمكن للنزلاء الاختيار من ضمن مجموعة من الغرف المصممة بعناية لتعكس جواً من الراحة، والتي يتجاوز عددها 4. يمكنك الاستمتاع بالأجواء المريحة التي تقدمها حديقة طوال النهار. إن Mantons Creek Estate & Lodge هو مكان مثالي للمسافرين الذين يتطلعون إلى الراحة والاستجمام في مورينجتون بنينسولا. 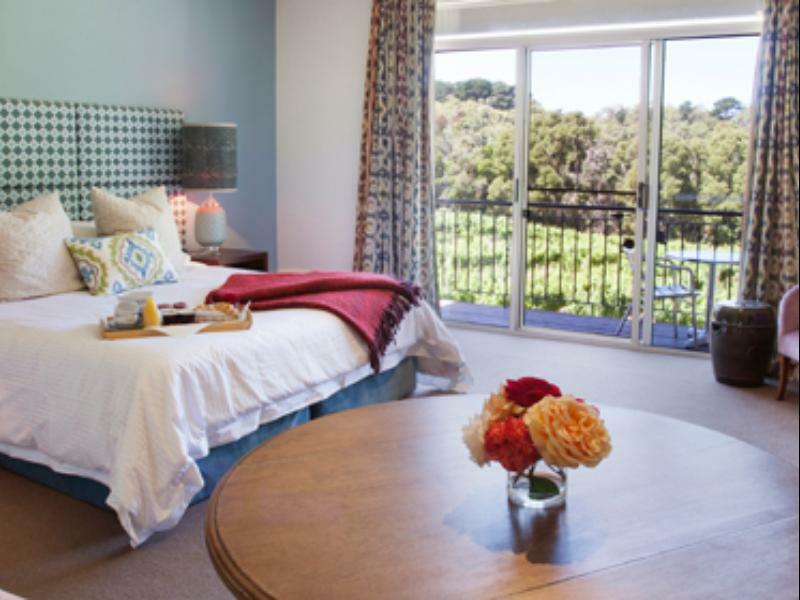 Such a gorgeous, peaceful place to stay with lovely furnishings! The service was appreciated with Anna welcoming us and providing us with some yummy extras in our room and a lovely glass of champagne! Only point to improve on would be that the bathroom needs renovating and updating. Unfortunately for us the weather wasn't very kind but I can imagine how lovely it would be on a fine day to sit on the balcony overlooking the vines sipping a wine or two. Our room was very comfortable and although we weren't invited to use the communal lounge area it looked very comfortable also. The continental breakfast, which was set up on our room, was very nice and the complimentary bottle of wine went down very well. Really enjoyed our stay, great location and the food was fantastic. We were there for just overnight stay in order to attend a wedding nearby the next day. The room we had sits above the restaurant with lovely view of the vineyard from the balcony. The room was very clean, spacious and comfortable, with a nice firm bed and fresh linen. Our continental breakfast provisions were included in the room so that we were able to simply get ready, eat and leave in the morning which worked well for us. We enjoyed our (short) stay and would come again. Great location for a peaceful getaway. Room was spacious, breakfast basket was delicious. staff extremely friendly. local produce menu and wines all excellent. We liked that the menu was designed for couples to share, and that way you could taste a great selection. Family running place are lovely. Only issue is that they ran out of some types of wine! great food, great pinot noir, and try to gnocci! The staff was friendly & welcoming, and while the décor wasn’t my style, we had a large and quiet room with a balcony overlooking the vineyards. I wasn’t too impressed by lunch, which seemed quite overpriced. But I thoroughly enjoyed the breakfast (crepes for me, Spanish eggs for my husband) brought to our room & served to the balcony. The location works well for exploring some of the wineries and fine dining of the Red Hill area. Note: it appeared that this property was for sale when we were there, so it may be out of business or have new owners in the near future. Helpful host. Best for peace and quiet. Nice place, albeit a bit quiet when we stayed there.